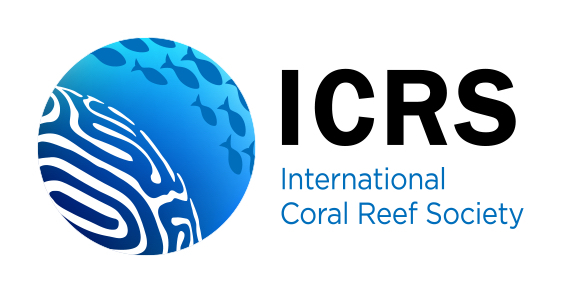 Is the response of coral calcification to seawater acidification related to nutrient loading? 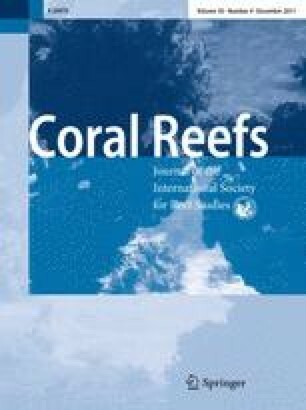 The effect of decreasing aragonite saturation state (ΩArag) of seawater (elevated pCO2) on calcification rates of Acropora muricata was studied using nubbins prepared from parent colonies located at two sites of La Saline reef (La Réunion Island, western Indian Ocean): a back-reef site (BR) affected by nutrient-enriched groundwater discharge (mainly nitrate), and a reef flat site (RF) with low terrigenous inputs. Protein and chlorophyll a content of the nubbins, as well as zooxanthellae abundance, were lower at RF than BR. Nubbins were incubated at ~27°C over 2 h under sunlight, in filtered seawater manipulated to get differing initial pCO2 (1,440–340 μatm), ΩArag (1.4–4.0), and dissolved inorganic carbon (DIC) concentrations (2,100–1,850 μmol kg−1). Increasing DIC concentrations at constant total alkalinity (AT) resulted in a decrease in ΩArag and an increase in pCO2. AT at the beginning of the incubations was kept at a natural level of 2,193 ± 6 μmol kg−1 (mean ± SD). Net photosynthesis (NP) and calcification were calculated from changes in pH and AT during the incubations. Calcification decrease in response to doubling pCO2 relative to preindustrial level was 22% for RF nubbins. When normalized to surface area of the nubbins, (1) NP and calcification were higher at BR than RF, (2) NP increased in high pCO2 treatments at BR compared to low pCO2 treatments, and (3) calcification was not related to ΩArag at BR. When normalized to NP, calcification was linearly related to ΩArag at both sites, and the slopes of the relationships were not significantly different. The increase in NP at BR in the high pCO2 treatments may have increased calcification and thus masked the negative effect of low ΩArag on calcification. Removing the effect of NP variations at BR showed that calcification declined in a similar manner with decreased ΩArag (increased pCO2) whatever the nutrient loading. The authors would like to thank Amandine Pierre and Marjorie Sawadogo for laboratory assistance, Kévin Coustaut for help with iconography and Karyne Rogers for English corrections. This research was made possible through the financial support of the Conseil Régional de La Réunion (ITUE program) and performed under collecting permit number 94/DRAM/09. The manuscript was greatly improved with help from the topic editor Mark Warner and two anonymous reviewers.